Primaries can send these invites home with their kids to let families know when the program will be (and maybe even a few extras to invite grandparents and any other family/friends that would want to come). 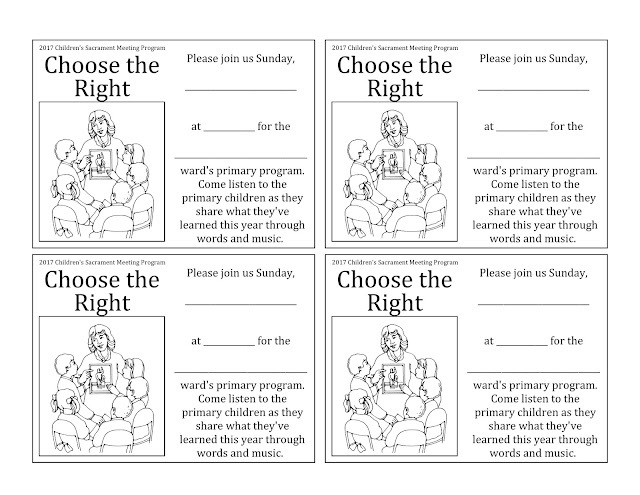 I thought it would even be nice to attach the kids' program parts to the invitation (either put everything in an envelope - Walmart carries some cute colored "social" size envelopes - or just use a paper clip). You can download these documents HERE. I like to keep my designs for these kinds of items simple - a black and white line drawing - so it can be easily copied at the church library. And if you'll notice, it's the exact same look as the CD cover I created HERE and the program. 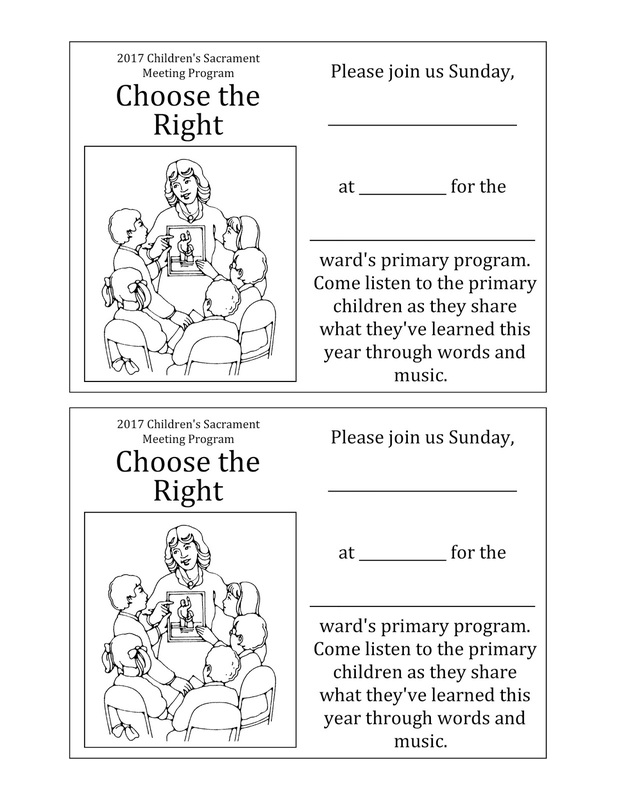 Then before you make copies, fill in the sheets with your ward's primary program information. 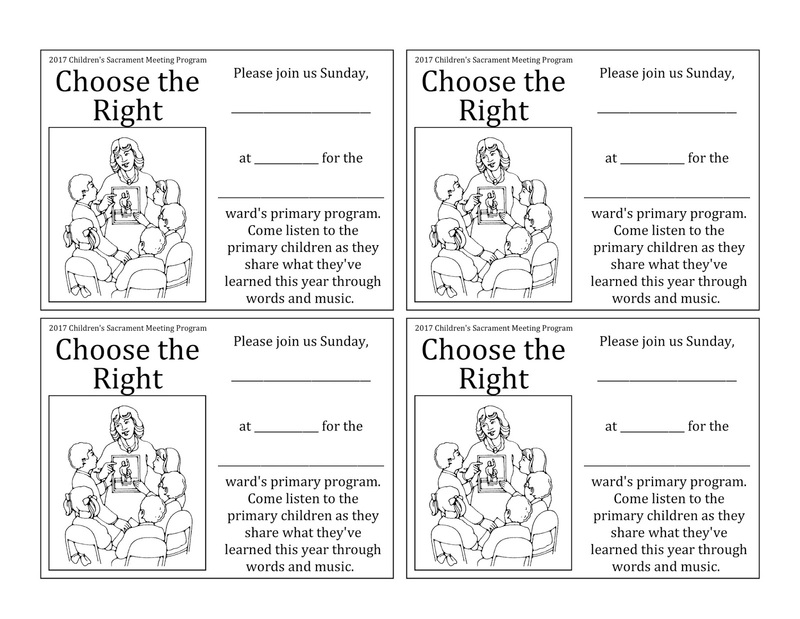 Copy, cut and distribute! Easy - just the way I like it!! How do you organize your binder for the program? I hope it helps. If you have more questions, just let me know.